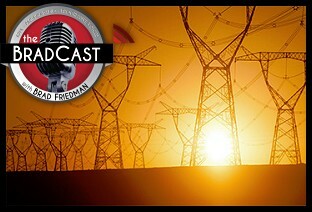 " Articles in Category: Joe Manchin	"
IN TODAY'S RADIO REPORT: Senate Republicans ridicule climate solutions, as Democrats fight back during Green New Deal stunt vote in the Senate; New Mexico and Puerto Rico set targets for 100% renewable electricity; Replacing US coal with renewables today would save customers millions; PLUS: Big Oil has spent a billion on climate lobbying and ads since the Paris Climate Agreement... All that and more in today's Green News Report! 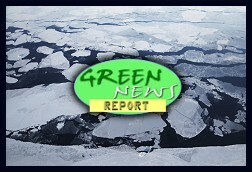 IN TODAY'S RADIO REPORT: Very bad news in the latest Arctic Report Card; Coal state Democratic Senator gets top energy committee position; Washington state Governor unveils ambitious climate change legislation; PLUS: Trump EPA rolls back yet another major water protection rule... All that and more in today's Green News Report! It's now official. Judge Brett Kavanaugh --- alleged sexual assaulter and demonstrably repeated perjurer --- is now Justice Brett Kavanaugh on the U.S. Supreme Court. That means that all five serving Republican appointees on the (currently) nine-person Court, serve under one cloud of illegitimacy or another. That said, while there are ways to reverse the terrifying course the nation (and planet) are now on --- including a difficult path towards restoring a majority to the stolen Court that might actually represent the majority of the country --- it will be neither easy nor painless. Nonetheless, the first major step on that path is the November 6th, 2018 midterm elections less than one month away, and now more crucial than ever. As if another violent reminder of dangers that now lie ahead, Hurricane Michael is now barreling toward the Florida Gulf Coast, threatening to make landfall in the next day or two, and the United Nations' Intergovernmental Panel on Climate Change (IPCC) released a chilling new report on Monday, warning the worst effects of global warming are now set to arrive far sooner than previously predicted by the conservative scientific body. The new report details, among other things, the enormous contrast in impacts based on the half of a degree Celsius difference between holding the earth's warming to 1.5 degrees over pre-industrial times versus the 2 degrees or more where we are almost certainly headed unless very serious changes --- with "no documented historic precedent" --- are made by civilization, very quickly over the next 10 years. Are the corporate media up to the task of covering this? Much less civilization doing what is now needed? 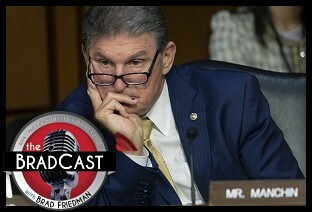 With all of that (and much more) at stake, we are joined today by the inimitable BOB KINCAID of West Virginia's Coal River Mountain Watch and the Head-On Radio Network (HORN) to discuss WV Senator Joe Manchin's weekend vote in favor of Kavanaugh. He was the only Democratic Senator to do so, despite the nearly 10 point average lead he currently enjoys over his Republican re-election opponent in pre-election polling. Specifically, we focus on why Manchin voted the way he did and, more importantly, the difficult choice that voters like Kincaid now face in choosing between the barely Democratic Senator and his far-right, Trump-endorsed challenger Pat Morrissey. With hopes of regaining control of one or both houses of Congress now the only way to begin putting the brakes on our Trump/GOP-inflicted national emergency, will progressives be able to hold their nose and vote for some candidates who they would never have even considered voting for during a primary season in which the Democratic Party was finally forced, at least a little bit, towards the progressive left? It's a question that many progressives --- not just in West Virginia --- will now have to seriously ask themselves before November, with many less-than-perfect Democrats on the ballot, but the very fate of the Republic and the planet now clearly on the line. "Joe Manchin is a 'pro-life' Democrat from way back, going way back to when he was just a little, bitty, grasping, ambition-driven state senator," Kincaid argues, charging that both he and Kavanaugh are hard-core Roman Catholics" and that "He voted the Church doctrine. It's just clear as day." Kincaid, who comes from generations of WV coal miners, is nonetheless a dyed-in-the-wool progressive who, on previous appearances on the show, has both strongly criticized Manchin and explained how difficult it would be to even consider voting for him in the midterm. The last time Kincaid was on, back in April, he described Manchin thusly: "This is really difficult for me, because Joe's a Democrat the way I'm Neptune, Lord of the Deep. Ya know, not at all." Today, he says, for those who wonder how Manchin could "dismiss the experiences and the suffering of so many women and vote for a guy credibly accused of sexual assault? Let me explain to you: Joe Manchin has sat around for at least eight years, fully knowing what the toxic consequences are of mountaintop removal on babies in the womb, pregnant mothers, grandmothers, grandsons, sons, fathers, brothers, sisters, aunts, uncles, cousins, neighbors, possums, everything. 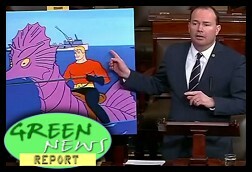 He has known that it poisons his own constituents, kills his own constituents, and yet he has slavishly continued to support that practice and ignored every bit of the science around it." He adds that "We have about a thousand deaths a year in the counties in West Virginia where mountaintop removal is practiced." "I say all that," he tells me, "hoping that people will understand that I do not come to a decision about Joe Manchin lightly. I would not trust Joe Manchin with the carcass of a run-over skunk." So, with the stakes now as high as they are, does he still find himself unable to vote for Manchin? And what of other progressives who may still believe that sitting this one out or voting "third party" or staying home instead of voting is the only way to cleanse the Democratic Party of its overly-conservative, overly-corporatist establishment? Please tune in for this important conversation with Kincaid today, that, he says, "he spent a long time thinking about" after he and I had a private discussion over the weekend, begging the question: "Do I vote as an American first, or a West Virginian first?" Please listen to today's show and let me know, in comments below, how you feel about either his points or mine. On Friday, the four theoretically previously-undecided U.S. Senators announced how they planned to vote on the confirmation of accused sexual assaulter and confirmed liar Brett Kavanaugh for his lifetime appointment to SCOTUS. Republican Sen. Lisa Murkowski of Alaska announced her intention to vote against him, while Republicans Susan Collins of Maine, Jeff Flake of Arizona and Democrat Joe Manchin all declared they will vote in favor of the most contentious nominee to the high court, perhaps in U.S. history. We discuss what all of that means today, moving forward, as the far-right cements its stolen majority. As you might imagine, both Desi and I have some thoughts on all of that today. 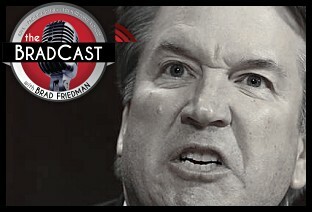 Then, we're joined by legal historian and Fordham Law School professor JED SHUGERMAN, author of The People's Courts, to discuss the upcoming Supreme Court case that many Trump opponents have cited in recent days as one of the explanations for Republicans' apparent panic to seat Kavanaugh on the Court as quickly as possible. The case, Gamble v. U.S., involves what some on both the Right and civil libertarian Left consider to be unconstitutional double jeopardy regarding an Alabama man who was convicted at both the state and federal levels for unlawful possession of a firearm. Some Trump critics have suggested, depended on how its decided, that the case could result in states being barred from prosecuting Donald Trump, his associates, or his family members in the event that they are pardoned at the federal level. Shugerman --- who was one of more than 2,400 legal professors to sign on to a recent letter published by the New York Times calling on the Senate to reject Kavanaugh's nomination due to his lack of appropriate judicial temperament --- explains why he believes the Gamble case poses no threat to state prosecutions of Trump and/or his associates, nor to Special Counsel Robert Mueller's investigation and prosecution of Team Trump. He also explains today why he signed the public letter opposing Kavanaugh, how it now may affect lawyers who signed it when arguing cases before Justice Kavanaugh, why he believes the GOP has been in such a hurry to seat Kavanaugh, and the "completely unprecedented" public opposition to him by former Supreme Court Justice John Paul Stevens. Shugerman also describes some of his major concerns for the Court once Kavanaugh is finally in place: how Chief Justice John Roberts is going to be forced to deal with it. "How is he going to manage this explosive controversy and the unprofessional conduct, the injudicious conduct, of Judge Kavanaugh? How will he restore consensus to this Court? How will he manage Judge Kavanaugh, given that he should have reason to fear that Judge Kavanaugh cannot be balanced, and won't be perceived to be balanced when he's on the Court?" The FBI's supplemental background report on U.S. Supreme Court nominee Brett Kavanaugh was released on Thursday morning. Just one copy was made available to U.S. Senators only. It received much criticism from Senate Democrats and much approval from Senate Republicans who couldn't even have possibly read it by the time they were lauding it. The release comes on the heels of the National Council of Churches calling for Kavanaugh's nomination to be withdrawn "immediately", and more than 2,400 law professors (and counting) signing onto a statement seeking the same. Nonetheless, even before the "White House Whitewash" of a report was even released, Republicans scheduled a final floor vote on the confirmation of the most partisan, dishonest nominee the nation has likely ever seen. Even 98-year old retired Justice John Paul Stevens, appointed by Republican President Gerald Ford and who lauded Kavanaugh in a 2014 book, announced he is now opposing his confirmation following his angry and partisan testimony last week in the Senate Judiciary Committee in response to multiple sexual assault allegations. Justice Steven suggested --- as the churches and law professors did --- that Kavanaugh has proven he lacks the appropriate judicial temperament for a lifetime appointment on the U.S. Supreme Court. But, even with hundreds of anti-Kavanaugh protesters descending on the Senate today, the only thing that ultimately matters will be the votes of five undecided U.S. Senators. One of them, Democratic Sen. Heidi Heitkamp, who faces a tight re-election contest in Trump-leaning North Dakota in November, announced on Thursday she is a "No" on Kavanaugh. 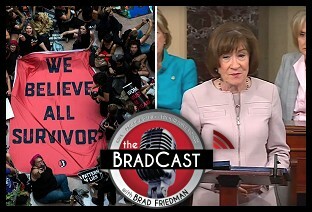 The others, Jeff Flake (R-AZ), Susan Collins (R-ME), Lisa Murkowski (R-AK) and Joe Manchin (D-WV) have yet to commit, though Flake and Collins said on Thursday they found the FBI investigation --- which failed to interview dozens of witnesses, including Kavanaugh himself and his first accuser Dr. Christine Blasey Ford --- to offer no new corroboration to the allegations against the nominee. Collins says she found it to be "very thorough". Manchin, who, according to polling, is comfortably ahead of his Republican opponent this November --- even in state Trump won by 42 points in 2016 --- is reportedly "leaning 'Yes'" on Kavanaugh. If all Dems vote against and just two Republicans join them, the confirmation will be killed. The first procedural vote, to invoke cloture and move to the final vote, is scheduled for tomorrow. In the meantime, the divisive issue has helped fuel enthusiasm for the crucial November midterms by both Democrats and Republicans, according to new polling, which also finds younger voters far less likely to vote this year, sadly. The Democrats' hoped-for "blue wave" may rest on turnout of young voters, and may not be quite as certain as many believe, particularly with obstacles preventing voters from registering (the deadline for doing so comes up this weekend in many key states), from voting and from having votes verifiably counted as cast. While last week's National Voter Registration Day was an unexpected success, thousands of citizens who registered to vote in Texas via the non-profit Vote.org will not be added to the rolls, according to a new report. That could be troubling news for a number of races in the Lone Star state, not the least of which is the contest between GOP Senator Ted Cruz and his surging Democratic challenger Beto O'Rourke. Roberts breaks down what the legislation's change from 100% "renewable" to 100% "carbon-free" electricity means and why the entire effort is such a huge frickin' deal that deserves more coverage than its likely to get right now. Last year, the state of Hawaii lead the way by adopting a similar measure, but with California as the world's 5th largest economy, this move, as the Los Angeles Times recently reported, would truly turn the Golden State into a world leader on climate change action. "If you put together the size of the economy, the nearness of the targets, and the ambition, I think this is as big as anyone has gone. I think this is as big as it gets," Roberts tells me. "I don't think there's another economy in the world that is comparably large and carbon-intensive, that has anything close to comparably ambitious goals." The measure also increases the state's current goal of moving to 50% renewable energy by 2030, up to 60% by the same year. That, as Roberts explains, because California has almost reached its previous goal already, years earlier than planned! "They'll probably beat these targets, too," he says. "One of the reasons this is happening is most utilities in California are closing in on their 2030 targets already, and its 2018." As usual, Roberts makes all of this otherwise-wonky stuff accessible to mere mortals --- and actually enjoyable. Well, at least I enjoyed it. Hope you will too! Then, back to some less good news of the day. On Thursday, President Trump informed Congress that he wants to cancel the scheduled pay raise for federal workers that is due them in January, charging "Federal agency budgets cannot sustain such increases". That, after giving a $1.5 trillion tax cut to corporations and the wealthy last December and signing a $717 billion defense appropriation bill just weeks ago. Both have resulted in what even the White House now admits will be unprecedented year-after-year trillion dollar deficits. Trump and Republicans now hope to force the "forgotten men and women" of the working class, that he pretended to care about during the 2016 election, to pay the price for it, even though non-military federal workers have already seen pay and benefits cuts of more than $200 billion since 2011 and now earn 5% less than they did at the start of the decade. In West Virginia, coal baron and convicted felon Don Blankenship will not be allowed to run for the U.S. Senate this year on the Constitution Party's ballot line. The state's Supreme Court (or what's sufficing for it at the moment, with two of its five members recently resigned and the three others facing impeachment by the GOP state legislature --- see my conversation with Slate's Mark Joseph Stern about that earlier this week), agreed with their Sec. of State that Blankenship's candidacy would run afoul of the state's "sore loser" statute after he placed third last May in the Republican primary contest for that party's Senate nomination. The ruling is good news for the state's Attorney General and GOP Senate nominee Patrick Morrisey, as Blankenship might have siphoned off some of his support. Morrisey hopes to unseat the conservative incumbent Democrat, Sen. Joe Manchin, this November. First up today (after a quick thanks to In Deep Radio's Angie Coiro for covering for us late last week so I could "enjoy" some emergency oral surgery), a quick preview of Tuesday's primary elections in Arkansas, Kentucky and Georgia and primary run-offs in Texas, where the internecine battles between progressives and establishment Democrats continue to shake out. 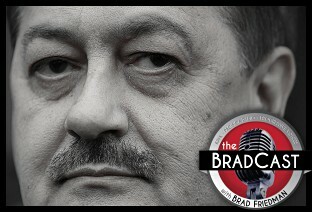 Also, news that Don Blankenship, West Virginia coal baron and former federal felon (convicted for his role in safety violations resulting in the 2010 deaths of 29 minors in one of his mines in 2010) announces his plan to run on the Constitution Party ticket for U.S. Senate this November after coming in third in WV's GOP U.S. Senate primary two weeks ago. Then, new details on the politically brain-addled man who opened fire inside the Trump National Doral Miami resort in South Florida on Friday, and a trove of witness statements are released related to the October 2017 massacre in Las Vegas where a gunman opened fire on outdoor concert goers on the Strip, killing 58 and wounded more than 800 in a matter of minutes. Though officials never declared a motive for that shooting, the newly released statements suggest the shooter was an anti-government fanatic who had cited longtime Fox "News" and Rightwing talk radio tropes such as Waco, Ruby Ridge and FEMA camps in the days before the massacre. 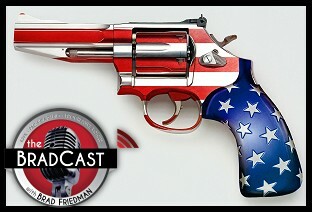 Then, in a sadly similar vein, we're joined by author, Daily Beast columnist, podcaster and longtime gun legislation advocate CLIFF SCHECTER on fallout following Friday's mass shooting at Santa Fe High School outside of Houston, where a 17-year old student killed 10 and wounded at least 10 others. With the US now averaging at least one school shooting per week in 2018, we discuss who is to blame, what (if anything) can finally be done about any of it, and how Houston Police Chief Art Acevedo has courageously taken a very hard stand against the years-long failure of NRA-backed Republican politicians who offer "thoughts and prayers", but no actual action to try and help curb the nation's continuing, tragic and obscene gun epidemic. "In Western European countries, you certainly have these radical rightwing groups like you do here," Schecter argues. "The key is they don't all have access to guns. They do here. That's what we're seeing. We're seeing white men radicalized and then armed. This is the predictable result of that." "You're never going to prevent everything. There's still one shooting or two in Canada, and they've got much more stringent gun control. The key here is when you look at a public health crisis, you say 'What are the various ways, through regulations, policy, cultural change, shaming and the rest, that we can get to a place where people take this more seriously?'" Schecter goes on to explain how recent changes to gun laws have decreased gun violence, despite the idiotic statements of folks like Texas Attorney General Ken Paxton, and others who suggest that gun regulations make things worse, and how citizen ballot initiatives can be used to work around intransigent politicians. 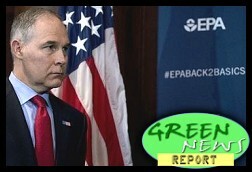 IN TODAY'S RADIO REPORT: Federal watchdogs find EPA violated the law on behalf of embattled Administrator Scott Pruitt; Senate confirms coal industry lobbyist for deputy EPA chief; Global shipping industry reaches first-ever agreement to cut emissions; Interior Department scraps big increases in national park entry fees; PLUS: Tech giants Google and Apple go 100% renewable... All that and more in today's Green News Report! 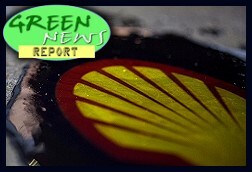 IN TODAY'S RADIO REPORT: Newly unearthed internal documents reveal that Shell Oil knew, as early as 1958, that its products caused global warming; Senate Democrats call for EPA chief Scott Pruitt to resign; Internal EPA report undermines Pruitt's claims of 'unprecedented death threats'; PLUS: Obama's former EPA Administrator Gina McCarthy warns of the long term consequences of Pruitt's reign... All that and more in today's Green News Report! But first: Deadly and costly disasters, natural and otherwise, top the news headlines on today's program. Among them: the catastrophic Amtrak train derailment on a brand-new line near Seattle, the second straight week for still-raging apocalyptic wildfires in Southern California, and the continuing disaster in Puerto Rico where, three months after Hurricane Maria came ashore, one-third of the island is still without power and the Governor has finally conceded that the official death toll of 64 may be off...by as much as 1,000! All tolled, hundreds of billions will be needed to rebuild from those deadly disasters, and yet Republicans in Congress are still hoping to pass a $1.5 trillion tax cut, largely for wealthy Americans, before Christmas. Their scheme took a troubling turn over the weekend, as a new provision was added to the legislation during reconciliation of the House- and Senate-passed versions late last week. The new provision, it was revealed by David Sirota at International Business Times, would give special tax breaks to owners of large real estate holding LLC's like President Donald Trump, House Speaker Paul Ryan and, most curiously, Sen. Bob Corker who, on Friday, mysteriously reversed his previous opposition to the bill after the new provision was tacked on, in what many are now calling the #CorkerKickBack. 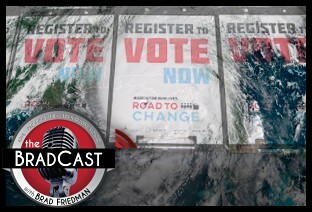 Then, we're joined by journalist, documentarian and election integrity advocate LULU FRIESDAT to discuss the remarkable turn of events recently revealed in response to multiple public records requests she has made over the past year in hopes of reviewing hand-marked paper ballots from the Democratic primary election last year between Rep. Debbie Wasserman-Schultz and her Bernie Sanders-endorsed challenger Tim Canova. 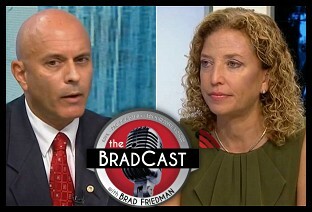 Just weeks after being forced to step down as chair of the DNC amidst the release of stolen emails from party officials, Wasserman-Schultz soundly defeated Canova in the first primary she'd faced in her six terms as a member of Congress. But, unexplained vote count numbers --- such as hundreds of more voted ballots than voters signed in to the poll books in the 23rd Congressional District race in Broward County, FL --- led to Friesdat's attempt to examine the paper ballots by hand, in hopes of determining if they were tallied correctly by the county's computer tabulators during the August 2016 Democratic primary. Eventually Canova himself filed a lawsuit against the county's Supervisor of Elections Brenda Snipes, after Friesdat says she was continually denied access to the materials. In November of this year, well over a year after Snipes certified the contest, both were finally invited to inspect the Broward County ballots only to learn upon arrival that all of them had actually been destroyed by the county in the middle of the lawsuit. Only digital images of what were purportedly the original ballots were available for examination, according to Snipes, in what appears to be, according to Politico's survey of election experts, a clear and stunning violation of federal election law requiring all such materials be retained for 22 months after an election. Friesdat tells me that neither her nor Canova had any idea the ballots were destroyed before showing up to review them. "If you're looking at digital scans, and you don't have the original ballots to turn to, at that point you have no way of verifying that ballots haven't been switched out, that ballots haven't been added, that ballots haven't been taken away --- you don't have any verification that those are the original ballots." Oddly enough, she explains, "in the very first public records request in November [of 2016], I requested all of the digital ballot scans for the election, and I was told that they didn't have them, that they didn't exist. And then it turned out that they did exist. So the county was duplicitous in regard to that information." As to what's really going on here, Friesdat demures from speculation, but says, based only on what is already known on the public record, that "according to Politico, seven legal experts that they consulted all agreed that the ballots being destroyed was illegal." It is of a piece, she observes, with the recent revelations in Racine County, WI, in November of this year, when multi-partisan election transparency advocates were finally allowed to review some of the computer-scanned paper ballots from the 2016 Presidential election. After months of similar public records request, they were allowed to view original paper ballots, only to find that, in the precincts they examined, anywhere from 2 to 6% of perfectly valid Presidential votes had been ignored by the computer tabulators entirely. That, in an election where Trump is said to have pulled off his shocking statewide victory by less than 1%. "What's going on here is actually just a representative sample of the problems that we have with our elections, and which you have been reporting on for over a decade," Friesdat says. "We're heading into the 2018 primaries. We at least now have a growing understanding and awareness that, in many cases, our election results may or may not be accurate, and that the protocols we are using in order to get those results are not secure." She offers many other troubling observations on all of this during our conversation today. As the GOP's devastating tax cuts increases for millions of low- and middle-income Americans and seniors move forward in the U.S. Senate, Donald Trump, the President of the United States, tweeted out three different anti-Muslim propaganda videos initially posted by a member of a far-right extremist nationalist party in the UK called Britain First. The disturbing postings by the President of what are being described as "ISIS snuff films", drew worldwide statements of condemnation from conservative British Prime Minister Theresa May and many other members of Parliament, as well as Muslim and Jewish groups in the US, academics and more. But, at least one person, in addition to Britain First, thanked Trump for the postings: David Duke, former Grand Wizard of the KKK. We discuss this rather embarrassing and dispiriting moment in American history. Then, we take a much-needed shower before heading to Charleston, West Virginia, where the (now, ironically named) Environmental Protection Agency is holding its one and only hearing on EPA Chief Scott Pruitt's plan to kill Obama's Clean Power Plan, a landmark measure meant to curb dangerous greenhouse gases that cause global warming. Environment reporter EMILY ATKIN of New Republic joins us from WV, after spending the past two days at the forum which she describes as a "tragedy" and a "farce", featuring testimony from coal barons like Robert Murray, CEO of the nation's largest private coal company --- who brought his employees in full mining regalia, hard hats and all, to the hearing room --- as well as from environmentalists who were allowed to testify, but were largely relegated to separate rooms entirely. Atkin discusses what the hearings suggest about the current EPA, which is now doing the bidding of the fossil fuel industry itself, as well as how industry leaders and Republican officials admit that coal has a bleak future --- thanks to cleaner, cheaper natural gas and renewable energy --- even while lying about it to those directly suffering in Coal Country, like miners and their families. The miners, she tells me, "completely buy into" the industry's "War on Coal" propaganda. "And that was what I think is the tragedy of the whole thing. They accept that there has been decline in the industry. The miners that I spoke to --- and just the average coal supporting people in West Virginia that I spoke to --- completely attribute it to Obama-era regulations, and completely believe what they're being told by coal executives and Republican politicians, that once [the Clean Power Plan] is gone, everything's going to be okay. And their industry is going to thrive again in the way that it used to. ... It's the hypocrisy of these executives and these politicians who go in front of the miners and tell them everything's going to be okay when, in other settings, they well admit that the decline of coal is happening no matter what." Atkin describes her brief conversation at the hearing with Murray, and how his own employees there contradicted one of his claims. And she explains how, though Pruitt chose to hold the forum in Charleston in order "to hear from those most impacted" by the Clean Power Plan, there are many others, in non-coal states, that are "equally affected", including those "communities that surround emitting coal plants [and] communities that surround coal ash pits that hold coal's toxic waste that can seep into groundwater and into water systems." "The fence-line communities that live near producing plants, which often are disproportionately low-income and minority communities, those aren't based in West Virginia. And I would argue that they are just as impacted by the Clean Power Plan as a coal miner. And yet, the EPA doesn't have any scheduled public hearings in any of those areas." First up today, following Donald Trump's wildly unhinged and indescribably embarassing campaign rally in Phoenix on Tuesday night, a few words on the unapologetic liar who has become President of the United States, and the responsibility that journalists have --- not just "commentators", but actual, hard news journalists --- to call him out as such. Then, the UN calls out the United States with an "early warning" regarding the rise of racist demonstrations and the failure of "high-level politicians" --- wonder who they're referring to? --- "to unequivocally and unconditionally reject and condemn racist hate speech". And, a science envoy at the U.S. State Department publicly resigns following Trump's response to Charlottesville and the Administrations' ongoing War on Science. 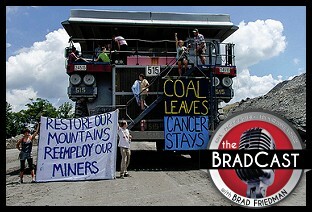 Then, speaking of that "war", we're joined by West Virginia's own Bob Kincaid of the Coal River Mountain Watch, in response to the Interior Department's halt of a study by the National Academies of Sciences regarding the dangers of Mountain Top Removal coal mining to residents of West Virginia and Kentucky's Appalachian communities. Kincaid, co-founder of the Appalachian Communities Health Emergency Campaign (click the link to watch their :30 second video, and get more info about contacting your members of Congress!) is furious over what he describes as an attempt by the Administration and the coal industry to keep the well-established science linking Mountain Top Removal to cancer, death and birth defects from becoming widely known. "It's not really mountain top removal," Kincaid tells me, explaining the process that is killing not only coal miners and their families, but their jobs as well. "It's mountain removal. You take vast amounts of...high explosives...and then you set it off. Huge clouds of dust then boil off the strip mine site and roll down into the hollers and into the valleys, and onto the places where people live, who then breathe it. Nothing in the human body can stop the dust. Because it's so fine, it's so tiny." He goes on to explain how this has now been done "to over 500 mountains. They've buried over 2,500 miles of streams. That causes poisons to run into the water, etc., etc., etc. Over 2 dozens reports have shown that there are vastly elevated rates of cancer, birth defects, genitourinary diseases, pulmonary diseases, heart diseases, in areas where this dust falls." And, he says, even though it was the state of West Virginia which requested the National Academies' study in the first place, the state's two U.S. Senators (Republican Shelly Moore-Capito and Democrat Joe Manchin), not to mention its Repub-turned-Dem-turned-Repub coal billionaire Governor Jim Justice, have been "as silent as a graven image," after the Interior Department halted this study of those "over 2 dozen" studies late last week. "It's sort of like 'Home on the Range', where never is heard a discouraging word, and the coal dust isn't toxic all day." "You wind up getting this downright un-American suppression of science," tells me. "I'm not kidding. This isn't American! We used to follow science. It's not always been this way. This suppression is the kind of stuff they do in North Korea or the old Soviet Union." Some Republicans in the U.S. Senate are finally beginning to separate themselves from the historically unpopular President Trump and his similarly unpopular agenda. They've even taken steps to try and keep Trump from removing Attorney General Jeff Sessions and hiring someone willing to fire Special Counsel Robert Mueller over the August Senate recess and thereafter. With Trump's approval ratings plummeting, even in Rightwing polls that Trump used to favorably cite (as recently as June), GOPers like Arizona's Senator Jeff Flake, whose own approval rating is now even lower than Trump's, are now hoping to distance themselves from the President, in Flake's case, even after recently voting with him to take health care away from tens of million of Americans. But not everyone is cutting ties with Trump. In fact, West Virginia's wealthiest man --- and, not coincidentally, its newly-elected Governor and longtime coal baron --- Jim Justice, changed his party affiliation this week from Democratic to Republican. And he announced it at a Donald Trump campaign rally on Thursday night. 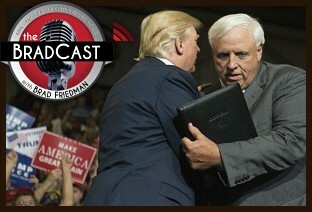 We're joined today by 9th generation West Virginian BOB KINCAID, host of Head-On Radio and President of Coal River Mountain Watch, to explain Justice's flip and why so many in the state still believe in Trump. "Jim Justice earned his money the old fashioned way --- he inherited it," quips the always-colorful Kincaid, noting many more of the Governor's very Trump-like characteristics. Kincaid warned Democrats long ago about Justice, whose flip, he tells me, is "almost a killing stroke for the now-moribund West Virgina Democratic Party." "Trump's approval ratings may be in the toilet in the rest of the country, but they're not in the toilet here --- this is still the Trumpiest place in the world." 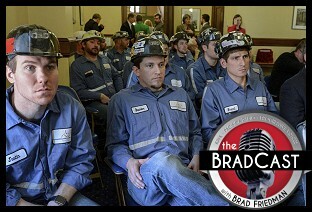 Tune in for the always-delightful visit from our old friend and longtime Coal Country hero on all of that, and more, including an update from the front lines now that the pretend "War on Coal" is finally over and, as Trump will tell you lie to you, tens of thousands of coal jobs have finally returned!